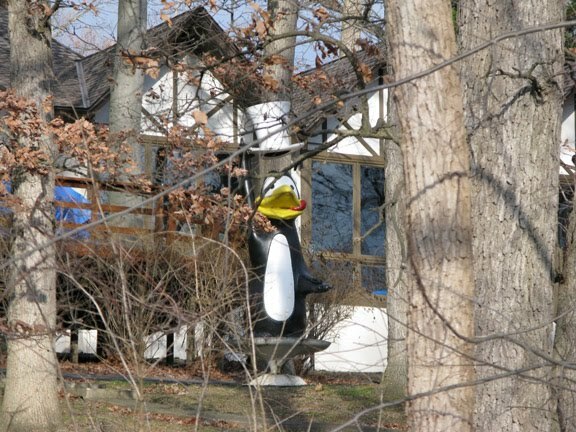 Dude, WTF? That’s awesome *and* mysterious! 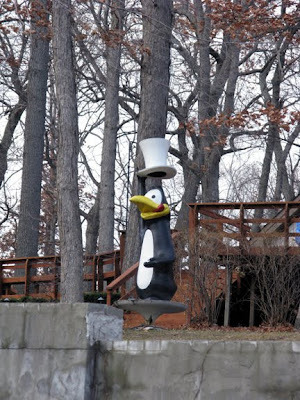 My family passed by the penguin statue yesterday and it sparked our interest. 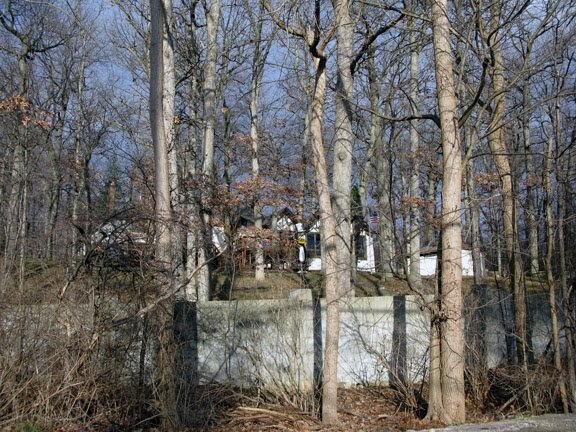 Family that used to live not far from it didn’t know its origins either. 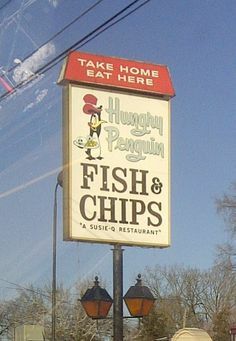 With a little online investigating, it appears to be from the long-gone Detroit restaurant chain Hungry Penguin Fish & Chips. It was aparently taken by pranksters and held for “ransom” in 1970!